save money this school year by making your own personalized planner! 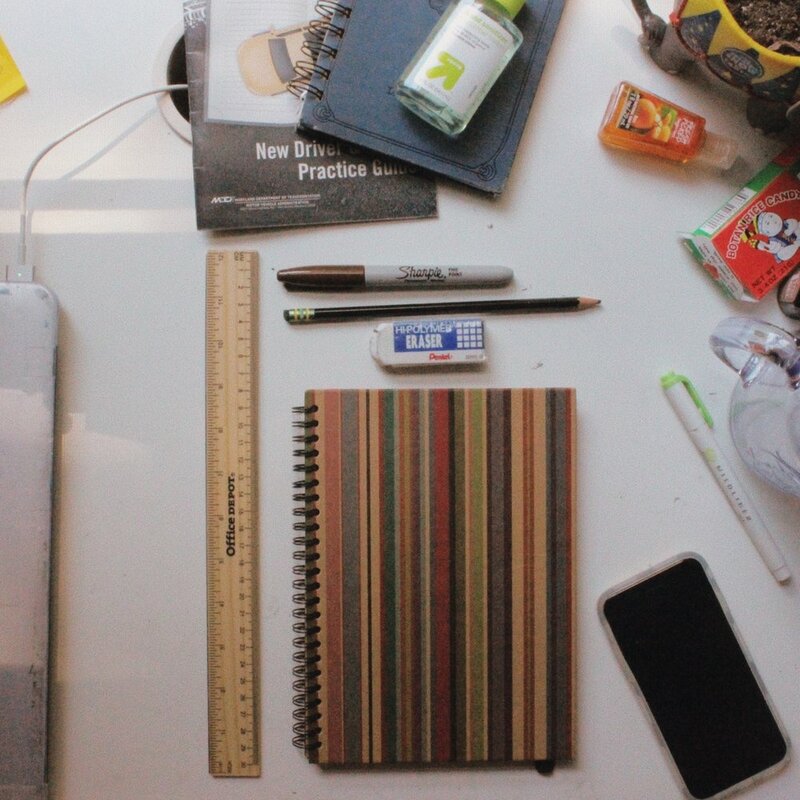 find a blank journal, ruler, eraser, sharpie, and pencil. measure your page length ways, then divide by three go over your pencil lines with a sharpie. in order to make three even boxes on each page. STEP FIVE: create a page for each of the months. you can customize what you write here, but i left a space for notes, quotes and inspiration. i also printed out Rookie's monthly calendar to glue inside. STEP FOUR: write out the days and dates then create a bookmark. STEP SIX: have an organized year with your own groovy flair!